Give new brass hardware the look of a seasoned antique. If you own restoration hardware you should have a bottle of Darkening Solution. This solution effectively antiquates or darkens brass, copper or bronze. It changes the color gradually so you can control the darkness of your hardware. Easy to apply. For solid brass only. Not for use on lacquered brass or brass-plated surfaces. This product works great for when I create an old looking piece and the hardware or screws are all shiny and new, love it! This is another product which does what it is supposed to. I repair and restore antique clocks. I discovered this solution years ago while on vacation in Pennsylvania. I find it indispensable for matching new cabinet hardware to the original. It often prevents my having to replace a complete set of hinges, knobs, etc. Buy it. You won't be disappointed. I was very impressed with the instant results of the Brass Darkening Solution. I used it on a new brass watch to give it an aged patina, and other treatments took much longer with uneven results. I just submerged the watch case into a cup of the solution and I could see it transforming within the first minute, it was amazing. The transformation doesn't happen before your eyes - it does take a day or so but it worked great on my guest room sink drain that I accidentally stripped the color off of. Glad I got it. Awesome for almost any metal! This is an awesome solution for anyone looking to age hardware for a project. I have used it on brass as it is intended for but also on other hardware, it will turn shiny zinc coated hardware dark like raw steel in seconds. I apply it to any metal that needs dulling or darkening. I like the darkening solution very much. I never found anything else that worked as well. I will recommend it. 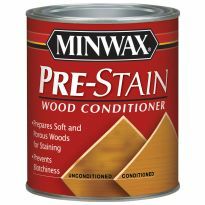 I used this product to darken the new brass hinges for my wife's Hoosier Cabinet. It did an excellent job but oil form your finger prints will show in the darkening process I solved this problem by washing the hinges with Acetone and held them with hemostats so no finger prints showed up. Superb results! VERY easy and safe to use. Also easy to control the darkening effect to one's taste. I highly recommend! Worked very well! Thank you! I had about 9 feet of 2&quot; bright brass foot railing around my bar that was very bright. Everything in the house was oil rubbed bronze. I ordered the 32 oz. bottle and cut a length of 3&quot; PVC in half length wise to fit the longest piece of railing to use as a dipping bath. I then bought two rubber stoppers to close off the ends (no use wasting the chemical on the inside of the pipe). The 32 oz. bottle was enough for the railing and all the hardware with about 5 oz. left over. The longer you leave it in the darker it gets. Turned out wonderful and save a lot of money by not having to order the railing in the expensive oil rubbed bronze finish. 5 stars! I have used this for years and it works wonderfuly. I do have a hint. The solution is reusable, granted that it does get weaker and takes longer, the more that it is used. After use, I place a small funnel in the top of the bottle, line it with a paper towel, and pour the used solution through it. 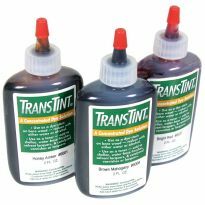 If you haven't used all the solution and there is still some unused in the original bottle, you might want to pour the used into a different bottle, but be sure to label it carefully. I recently replaced a screen door but could not find one with oil-rubbed bronze hardware in the right size. So I bought an Andersen 2000 door with solid brass hardware, softened the lacquer in lacquer thinner and then removed it with a Scotchbrite pad. After about 2 minutes of soaking in the brass darkener, I had a beautiful dark brass finish, which I then rubbed down with some mineral oil. It looks great. By the way, the door sweep was plated so I couldn't use this, so I matched the door sweep with several thin coats of Rustoleum Oil Rubbed Bronze paint. Purchased at a home center, it is a decent (90%) match to the treated hardware. I have used this solution before but could not find it in hardware stores. I am glad I found it here. Thanks! Used the solution to darken some bright brass hinges to match oil rubbed bronze handles. Product worked well and fast. Product worked well. I had an oil-rubbed bronze sink that had some electrolysis occur causing one spot to be copper-colored. I put solution on a paper towel and allowed it to stay on copper colored spot until color matched oil rubbed bronze. In a few minutes, it did and I rinsed off and it looks great! Perfect and fast. I bought another brand from another site that was not good at all. I have found none better than this. Extremely easy to use and quite fast when used straight. It worked well. I just needed to tone down a gold chain to make it appear aged and that was accomplished. works just as advertised. Darkens brass to match old brass. I needed to age and darken a new brass railing and read about various chemicals etc , thinking I should be able to find something inexpensive and easy to use. Finally I gave up on finding the ingredients for a homemade solution - too much research and time - and I just ordered this stuff from Rockler. It came within a couple of days, I tried it, and it worked fine. I used the 8 oz size for about 17 ft of railing and posts and had a little left over. I couldn't dip it so I simply painted it on until the brass reached the color I wanted. The product does what it says, but we were darkening kitchen hinges to match new pulls on cupboards. Sanding was necessary of each little hinge before the solution could work, so the process was not really easy! I wish then I had thought to soak them in lacquer thinner as another review that I just read suggests. That probably would have simplified the process dramatically!! Solution is expensive, slow to work and ultimately not as effective as hoped. Ultimately my expectations may just have been too much to overcome. I think the solution had been sitting on the shelf for too long. It did not produce a consistent dark antiquing look. But rather blotchy stains that I had to use elbow grease to remove. Had to get another brand to get the results I needed. I ordered a bottle of the darkening liquid, but did not realize that objects needed to be soaked in the liquid, as it was not stated in the ads online. The items I have are too large, unless I buy large amounts, which would be too costly. I tried applying liquid to the surface, but it did not work. I tried this on the brass handles to my kitchen cabinets and did not get expected results. It turned them more copper color than an antiqued brass look. I have two darkened copper sinks. The one that is used the most often got lighter with use than the other sink. The darkening solution did not help darken the lighter copper sink. It didn't work for me. Editor's note: As sinks are subject to cleaning and chemical substances on a regualr basis this darkening solution would not be recommended for such an application. The item being darkened needs to be submersed in the solution until the desired darkness is achieved and then the itme needs to be lacquered to keep the shade of darkness. This product did not work for me. In fact, now I have dark black patches in my oil rubbed bronze sink. In fact, my sink looks worse than before so now it needs to be replaced. Very disappointed.Editor's note: This product is not recommend for plated surfaces. Oil rubbed bronze would fall under this type of surface. Unfortunately, it didn't work for me. I have some oil rubbed bronze faucets in the bath...the finish had been almost completely taken off by improper cleaning solutions. I thought this product would darken the copper color enough to avoid replacing them. I soaked some paper towels and left on the faucets for a long time, but the faint darker color was uneven and rubbed of easily. Need brass to look older and cooler. Product woks great have used it for years. To darken the hinges to match the bronze color I needed. I am trying to darken the shiny brass items in my house to a more natural brass color. The new color for this year is aged brass, natural brass, and gold. To bring out the etch in older hand saws. It works! Check Sawmill Creek blog to see discussion. Refinish the patina on a copper sink. Have used painted brass fixtures that I want to darken. 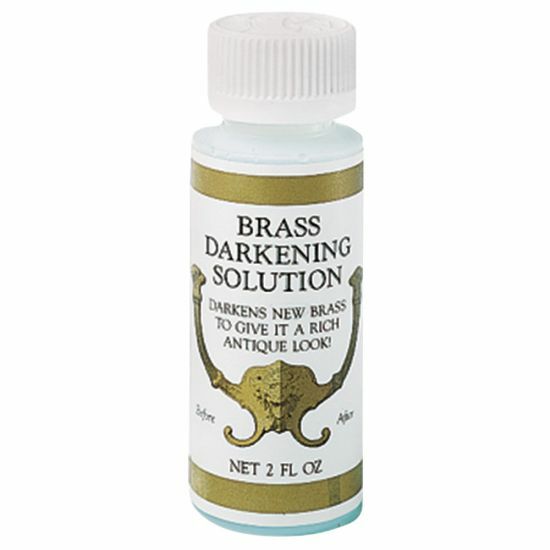 to put dark patina back on cleaned brass objects. new house with expensive door handles and locks. hopefully this will freshen the look without replacing them. I have new bronze bands I'm installing on drawers and would like then to have a nice patina. for brass grill darkening/antiquing. Have used before and it does the job. I'm looking to give an oil rubbed bronze look to my brass hinges. Used many times with great results. I bought a panart combat station, the kit has two brass cannon plus other parts that need to be dark. Need to restore dark finish on solid brass cabinet knobs. Ive used this before and really worked well. I need to darken my faucet and handles which have faded to a copper color from the original bronze finish. Oil rubbed bronze finish has rubbed off some of my door knobs over time, making them lighter in color and a little shiny. I'm hoping this solution will re-darken them. I'm a silversmith and going to use it to dull down brass. I thought it would age some brass miniature light fixtures. It didn't work. Darken new brass bands on antique chandelier. We are attempting to repair an oil rubbed bronze light fixture's finish. i have bathroom hardware ,,,,that the finish is wearing down. The handles are bright colored with dark spots. so i am hoping this will help. don't want to replace the handles. I used it before and like the results. Needed a product to darken a shiny brass door handle I have. I have 16 perfectly good solid brass knobs that I'd like to use but they are so shiny and need to be aged!! Hope this works!! Because it appears to be suitable for my needs. Onlyn item available to refinish oil rubbed bronze fixtures. Need for project, darkening brass screws. Does this work on bronze sinks? BEST ANSWER: This is not recommended for sinks or plumbing fixtures. how much would I need to do set of faucets for two sinks......? BEST ANSWER: This product is not recommended for sinks or plumbing fixtures. It is suggested for solid brass items that are unlacquered that can be submersed in the solution, such as furniture knobs, pulls or hinges. I'm not doing the sink, just the faucets. do you not recommend this to darken brass faucets? These faucets are in master bath with no usage by children so don't anticipate heavy usage. how does this work if you have to brush the product on object instead of dipping object into it? BEST ANSWER: I brushed it onto my refridgerator handles with a sponge brush and let it dry....many coats. It was taking a long time. Then I saturated a paper towel with the product and wrapped it around my fridge handle...used some tape to secure it and kept wetting the paper towel as it was drying out. My oil rubbed bronze handles had been 'scratched' down to the brass...maybe from wedding rings?? not sure. The darkening solution did work, however it hasn't lasted all that long...couple of months... and I need to repeat the process. But the fridge is heavily used. Good luck! It would be helpful to know what object you were trying to darken. When I used the product I needed to antique mesh screens for insert in cabinet fronts. I think I tried brushing because the screens were large and I didn't have a container to hold them, but it didn't work. I built trays to size and immersed the screens in the solution briefly, and that worked. In most cases, you should be able to dip the object. If you have an object with mixed materials, you can try brushing or soaking a cotton cloth in the solution and holding it in place. Ideally though, object should sit in solution. Brass or copper MUST be soaked in this liquid for it to work properly. It takes from one to four minutes to darken the metal. The longer it soaks, the darker it gets. I'm considering darkening brass hinges on my kitchen cabinets. How dark can I go? In other words, will the darkened hinges go with black hardware ? BEST ANSWER: If you soak them, remove them and buff them with a cloth, then soak them again, they will get to an almost black color. Thanks for the information. I appreciate your reply. Can I use this for darkening brass or brass coated faucets in a bathroom......? If not, why not? BEST ANSWER: Yes, I used it on my btass brass fixtures but you need enough of the liquid to sumerge the parts, and you have to remove the clear coating on the fixtures first, to get down to the bare brass. I used a spray on paint/varnish remover. I darkened my fixtures to look like oil rubbed bronze, and no one can tell they weren't purchased that way,works great! I purchased this same solution for a brass chandelier I wanted to darken and give a patina look. I used acetone to remove the gloss (Google research) but I didn't get the results that I wanted. I was not able to dip my piece into the solution like it recommends and I think that is why I didn't get the results I wanted. Hopefully it will work for you. The brass is probably coated like mine was. I just used some steel wool and removed the coating and my brass hinges darken in a minute. I would like to darken a twin brass bed. How can I do that without immersing it? Otherwise, I would have to purchase a tremendous amount of darkener. BEST ANSWER: I Use this darken solution to darken brass knight heads for staffs I build every year. It can take a lot if only I would submerse them. Try using a cotton ball with a pair of gloves or pliers. Wipe the entire piece quickly and let dry completely. Using several coats you can darken a bit more each time. After the first coat wipe on the following coats gently without rubbing too hard. It is possible to rub off the first coat with the second. If your pressure is constantly too much, try a chip or natural hair brush to apply the coats. It takes a bit of time. The longer you let each coat dry the easier it is not to rub off. Two things that should work: 1) Saturate a microfiber cloth with the solution and wipe it on a couple of times, pausing between applications. 2) Use a spritzer bottle to spray it on. Good luck. BEST ANSWER: Yes you can, I usually pour mine back in the bottle and reuse. It will lengthen the time for the solution to work as time goes on and the amount of times used. Usually the darker the older it gets. Yes. I always just pour the solution back into the bottle after use. However, I've found that the solution seems to lose strength after several years. I assume that's not entirely because of the recycling. Yes, I did, and it worked just as well the second, third, fourth, etc. time. Do you use the product straight or mixed with water? BEST ANSWER: You use this straight not mixed with anything. I usually pour this into another container just enough to cover the pieces you want to darken. I have used this with brass but you must remove the laquer that most brass pieces are coated with, rubbed with acetone and then lightly sanded with a fine grit sandpaper usually works. This is amazing on other metals as well, I buy zinc coated hardware and then dip them in this for a few seconds and they are instantly dark, looking like raw steel. It is awesome because it saves me so much time vs trying to age hardware with vinegar or other solutions and it is not toxic to use. I use it straight. I've never thought to mix it with anything, although I suppose you could. Undilluted, it takes only a few seconds to significantly darken a brass finish. Within 7-10 seconds of immersion, anything I've ever darkened is as dark as you would want it to be and by 15-20 secs begins to become too dark. So mixing with water may lengthen that time thus allowing for a larger margin of error with timing. Although, again, I've never tried it. The solution is most effective if it is not diluted with water. I Used it straight. Not great results. Does this solution damage glass or crystal? I have found an older chandelier that seems near impossible to take apart, and I was wondering if I were to rotate as I submerged the piece bit by bit would the darkening solution etch or cause damage to the glass? Has anyone had any experience attempting a similar project? 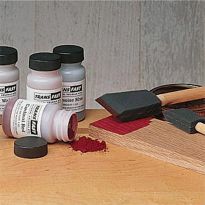 BEST ANSWER: I have used a clear glass jar before to dip parts and it washes off completely with no residue or damage. I assume it would work with no problems if the glass is not frosted or coated. will this Darken new bronze cabinet pulls? BEST ANSWER: It’s hard to tell. It depends on what the pulls are actually made of and whether they’re clear coated. I have had good luck with everything from steel screws and bolts to brass hardware. Whatever the metal, you must strip the clear coat first. I use acetone for that. Just soak the pulls over night and the clear coat will scrub off fairly easily. It will darken any solid brass object, once the lacquer finish has been removed with a solvent. Then, wash and dry objects. Completely submerge into Rocklers and watch, as darkening occurs quickly. I haven't tried it on bronze. I don't know, I did not use it, as I had a large vase, and did not know that the entire object had to be submerged in the liquid, and the bottles are small. Will this work on a brass exterior door kick plate? Want a darker oil rubbed finish to match new door hardware. Thanks. BEST ANSWER: If the door kick doesn’t have a clear coating on it the solution will work. I used this solution on a brass door knocker and it worked beautifully. Just make sure to remove all oils before submerging in the darkening solution. If you don’t the color will be uneven. I believe it will work well for your project. I would suggest scuffing the surface with fine steel wool first and it may take several applications to get your desired shade. Only if the hardware is brass and not lacquered. If you strip the lacquered finish, it should work. I have brass items that turned silverish in color when I cleaned them. I want the yellow-gold brass color back. Can someone tell me how to restore the gold brass color? Thanks so much. By clean them do you mean use the solution to darken them? The only way to restore the gold brass color is to use an abrasive to remove the darkening, it should be rather thin and easy to remove and polish again, but very difficult in recess areas. Hello Margret, The darkening solution does not restore brass or copper. It darkens it. Brasso and super fine steel wool should do the trick. We have oil rubbed bronze knobs and faucets. Some of them are beginning to "wear off" the bronze finish exposing a more "brass" finish. Could this be used to restore the bronze color to the knobs and faucets? BEST ANSWER: The first question is whether the parts are really brass. A lot of those finishes are applied to aluminum or steel or even plastic. If the pieces are really brass, i suppose you could simply soak the parts to darken the worn areas and reapply the clear coat, but you'll end up with an uneven finish. In order to refinish them properly you'd have to strip the old finish down to raw brass and soak them in the bds to the desired shade, dry them and apply a clear coat to preserve. If you want a really dark patina soak them more than once. In any case, you'll need a lot more than a few ozs to do this. More like a gallon. Yes, I used this to restore my dark bronze finish on faucets. Just follow the directions and allow enough time for the solution to work. I am considering buying two wall sconces that are shiny brass (both are brand new). I love the lights but would prefer an antique finish. Could I use this product to age them? And is do, how much product would I need? They are pharmacy style swing arm wall lamps with brass cord covers. BEST ANSWER: Assuming the fixtures are really brass, they are likely polished and clear-coated. In this case, you'd have to remove the clear coat and then soak in the darkening solution. In my experience the parts have to be submerged in the solution to darken the surface with any regularity. I've done little things with a rag soaked in the solution and placed on the workpiece, but the results are not even. So, you'd probably need to get a quart of the solution, disassemble the fixtures and soak the pieces in a small paint bucket a few at a time. Otherwise you're have to get five gallons of the stuff which would cost you about $700. Considering that I can't be positive that they are real brass I better not take the chance. Your advice was really helpful - thank you. 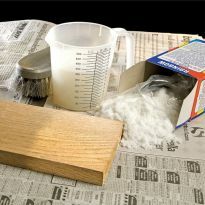 You would need enough product to fully cover the items in a bath to get the ideal finish result. Keeping in mind to remove the lacquer finish before dipping is also required. I have done large 8' flat strips and large bulky items like your sconces. Find the ideal container to immerse the sconces with them not touching any part of the container and fill with water and then measure to get your answer. It will work well if the directions are followed. Good Luck!! And don't forget to preserve the patina with a fresh clear coat after the brass is darkened and you've buffed it clean with a cloth. Lime away was sprayed on my copper bathroom sinks, I believe they are coated or have a clear lacquer ..will this product work? BEST ANSWER: The darkening solution has to come in to direct contact with the metal (copper) surface to have any effect. If your sinks were coated/sealed to prevent the copper from developing a patina or to preserve a patina already in place then no, the darkening solution will have no effect on your sink. In my opinion, the darking solution will not darken your copper sinks because of the protective coat. The darkening solution has to work directly on the metal. Lacquer has to be used to take off the protective coating first. A big big job. Good luck. I have a copper sink that was darkened to look like oil rubbed bronze. 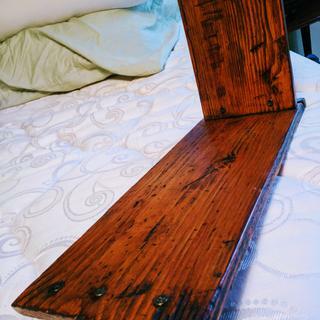 It needs to be refinished and wondering if this product would work? BEST ANSWER: I have had good luck using this product on brass and steel, but have not tried it on copper. It will only work on unfinished metal, so you would have to strip any finish off of the sink before applying the darkening solution. I would try it on a section of the sink that wouldn’t show, if you want to give it a try. I'm sorry, but I don't know how Rocklers would work on copper. I would think that the wetness in the sink would destroy the patina that the rocklers creates, depending on the sealant you use. Thank you very much! What is the process for a baking powder bath? Is there a mix ratio, water & baking powder? What is the ratio for this baking powder bath please. Thank you! I have a brass foot rest on my bar I want to change from brass to a dark or near black look. Will this product work? BEST ANSWER: Yes, it should, if the foot rest is real brass. If it has a coating or sealer that would have to be removed first. Brass darkening solution also works on steel and nickel plated steel. It gives a nice dark color. I use it all the time in my work in a museum to give fasteners and metal parts a nice dark natural look. I would expect it to darken, but I would not expect a nice uniform dark bronze result. I used it on some bright brass hinges and the result was in the desired direction, but not uniformly dark. You should also try looking up the process on the internet and see what mix it yourself options there might be. We purchased a solid brass oil rubbed bronze lockset that has way too much red tones in it. Will this solution work to dark the lockset? Do I need to do a finish coat of something else? Thanks in advance. 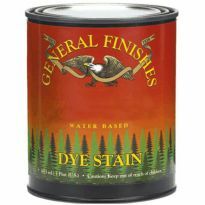 BEST ANSWER: I used this product to darken a brass sink where the factory patina had been scrubbed through. I found you can adjust the hue by multiple applications and controlling the exposure time. After some trial and error I was able to make a decent match. Heavy and long exposure of the product will turn the brass very dark, almost black. To be safe I would try to contact the lock manufacturer and get advice from their people before trying anything. Or purchase the small bottle and see what happens on a small, inconspicuous area of the lock. I have a large copper kitchen sink that had a dark brown patina. My housekeeper used a commercial stainless steel cleaner on the sink, which eliminated all of the patina on the sink and left a bright copper metal finish. Can your product return the original patina to such a large area? BEST ANSWER: It's hard to get an even finish by brushing it on, but you will def. be able to darken it. I would brush it on and as it pools in the bottom of the plugged sink, continually dip the brush and keep coating the sides. Then, once it darkens wipe it out and even out the color with super fine steel wool. Then repeat the brushing until it's dark enough after wiping. Also, in my experience the patina achieved with this is not as stable as a natural one and it will probably lighten whenever it's rubbed clean. This might give you a good start on a good natural patina though. My housekeeper did the same thing to some antique bronzed faucets. I was able to substantially restore the darkened finish -- not perfectly, but quite well. I probably didn't prep the surface carefully enough. I'd give it a try. I think there's a good chance you'll be happy. Does this work on hammered copper sinks too ? Can I use this on brass buttons? BEST ANSWER: I tried it on a brass miniature bed I wanted to age. It didn't work, because there was a sealer on the brass that I did not know how to remove. I'm guessing it will work on the buttons if you can soak them in something that will take any sealer off. I even tried lacquer thinner and it didn't work. Good luck! Will this work on a brass exterior door kick plate? Want a darker oil rubbed finish to match new door hardware. BEST ANSWER: I don't know. It was not clear when I bought it, that the item to be darkened had to be covered with the liquid, which made the small bottle useless to me. Once you have darkened brass do you need a finishing product? BEST ANSWER: In my situation, I did not use the sealer because I don’t mind the copper becoming darker. Sorry that I cannot help you very well. Enter an answer to this question. I actually want to turn antique brass very dark. I was going to replace to a brushed nickel to update the look but could not find handles to fit my dresser as they are an unusual width I guess. So second best would be black. Can you do that with brass? Will this product work on oil rubbed bronze drawer pulls? The bronze is starting to come thru. BEST ANSWER: i would clean it with lacquer thinner first then try it. if it is coated with a clear finish it will not work. it would have to have the finish stripped off. I wish to darken a brass post to the aged patina of brown. I have used gun blue and that darkens it to black which is not what I want. Can this product produce a natural plum brown color to what is currently a shiny brass? Can this be used successfully to darken solid brass door hardware in the areas where the oil rubbed bronze finish has worn off? If so what method should I use to apply it so it will blend in? BEST ANSWER: I purchased this solution with the intention of simply rubbing a moistened cloth of the darkening solution on flat copper sheets to quickly age the appearance of an outdoor custom dormer. The method I used was ineffective. I found that in order to color the copper to a darker hew, I needed to soak the copper in the solution, which was impractical for my project. How can I tell if my fireplace screen is brass or has a lacquer finish on it?